PRIME Minister Malcolm Turnbull has threatened legal action against the Russian government over the deadly missile strike which downed Malaysian Airlines flight MH17. Mr Turnbull and Foreign Minister Julie Bishop tonight opened the door to pursing Russia under international law if it failed to compensate families of the victims. "The only conclusion we can reasonably now draw is that Russia was directly involved in the downing of MH17," Mr Turnbull said. "This evening Australia and the Netherlands notified the Russian Federation that we hold it responsible for its role in the downing. 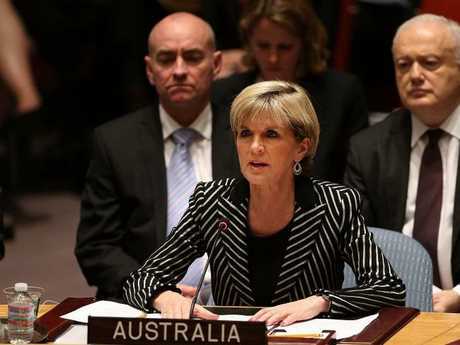 Australia's foreign minister Julie Bishop speaks during a meeting of the United Nations (UN) Security Council to discuss the MH-17 tragedy. "The Russian Federation must be held to account for its conduct in the downing of MH17 over eastern Ukraine, which resulted in the tragic deaths of 298 passengers and crew, including 38 people who called Australia home." Yesterday the Joint Investigation Team investigating the crash released findings that the BUK missile system used to down MH17 belonged to the 53rd Brigade of the Russian army. "These findings are built on earlier findings that the BUK missile system was taken from Russia to eastern Ukraine and back, immediately after the downing of Malaysia Airlines Flight MH17 on 17 July 2014," Mr Turnbull said. "Holding the Russian Federation responsible under international law is separate, but complementary to, the prosecution of the individual suspects, which is taking place under the Dutch national system." 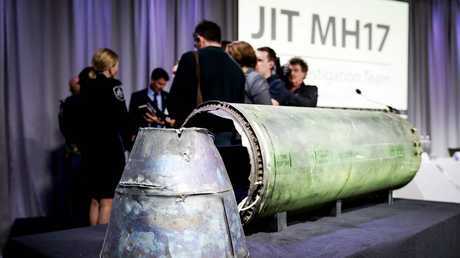 A part of the Buk-TEAR rocket fired on the MH17 flight is displayed on a table during the persconference of the Joint Investigation Team (JIT), in Bunnik on Thursday. 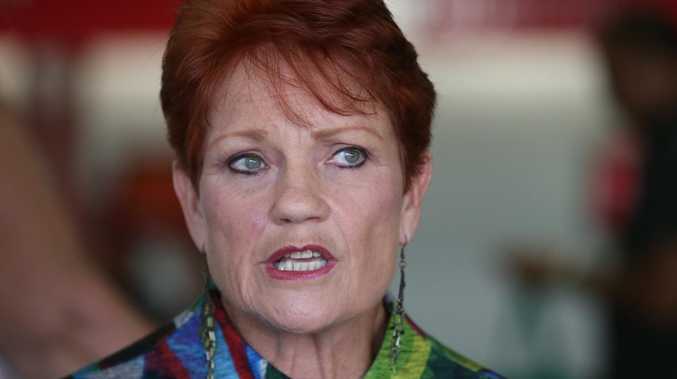 In a separate statement, Ms Bishop and Attorney-General Christian Porter said the only conclusion that could be drawn from the report was that Russia was directly involved in the deaths. 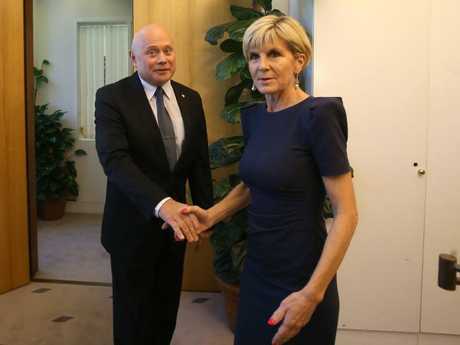 "This evening Australia and the Netherlands notified the Russian Federation that we hold it responsible for its role in the downing," Ms Bishop said. "We have requested negotiations to open dialogue around the circumstances leading to the tragic loss of innocent lives. 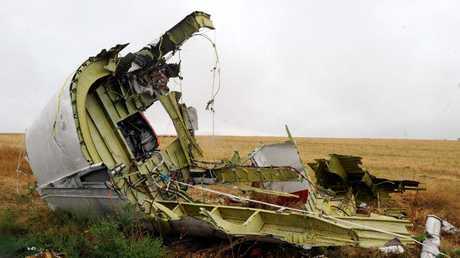 An international investigation this week found Russia had fired the missile which destroyed the aircraft. It is understood the federal government is keeping all options in its pursuit of compensations for the victims on the table, with a number of avenues open to it if Russia - which has long denied it has had anything to do with the missile strike - fails to co-operate. In March, the Russian Ambassador in Australia, Grigory Logvinov, said there was no evidence connecting Russia with the deadly attack, and described those who questioned Russia's role in the downing of the flight "little children". "The investigation is going on already for nearly three consecutive years. No evidence, not a single evidence was found," he said. "Everybody understands that under the current political situation, if the slightest evidence, really, truly, proving that Russia was responsible for these tragedies of MH 17 was found, there would be a lot of noise in the room … there is nothing." 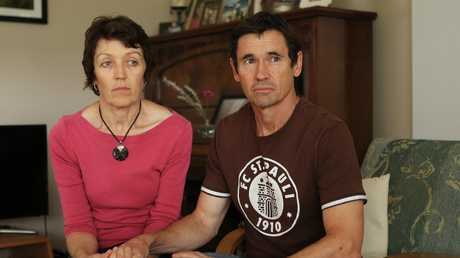 Jack O’Brien, the son of Sydney couple Meryn and Jon O'Brien, was killed in the MH17 plane crash. But in a lengthy press conference late on Thursday evening, international investigators including Australian Federal Police officers revealed there was "convincing evidence" the plane had been shot down by a Buk-TEAR missile from Russia. The missile, parts of which were found in Ukraine, was manufactured in Moscow in 1986. The federal budget includes $50 million in funding for "prosecution" of those involved in the downing of the MH17 - although it remains unclear the claim will be pursued. The International Criminal Court remains one possibility, although Russia withdrew its signature from the founding statute of the court in late 2016.